A Lot has happened in the meantime, but I’ll attempt to write everything as chronological as possible. 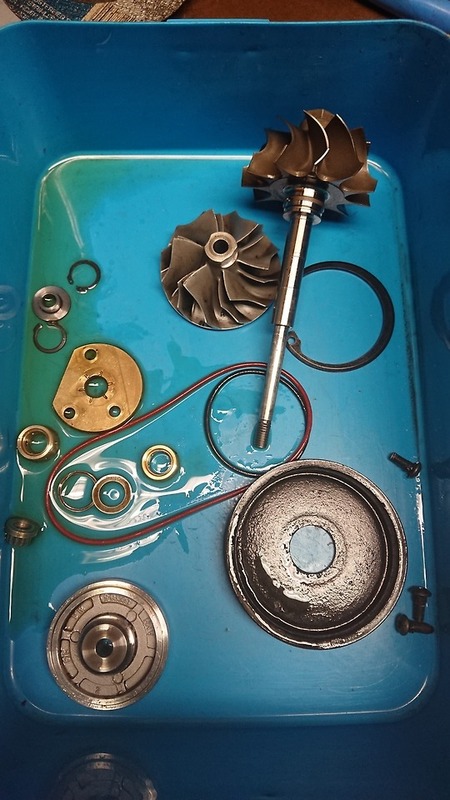 I left off upgrading the fuel gallery, I rebuilt the turbo myself a few months ahead, as it turned out the rotating assembly casting had warped. 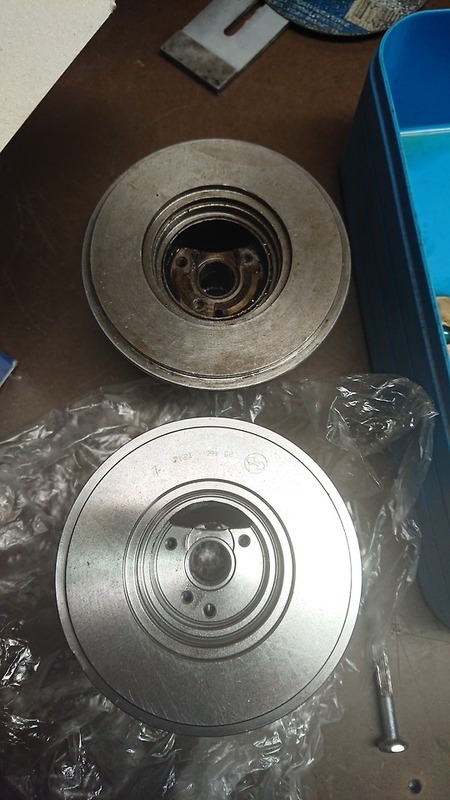 The entire rotating assembly is all new parts; housing from Melett, turbine wheel from Kinugawa, upgraded to a 360 thrust bearing and tapered oil seal. 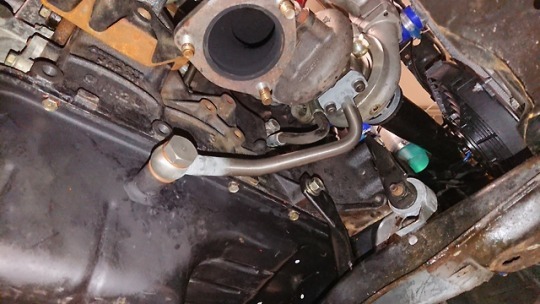 Upon bolting that all that was really left was to plumb the oil and water lines to the turbo. 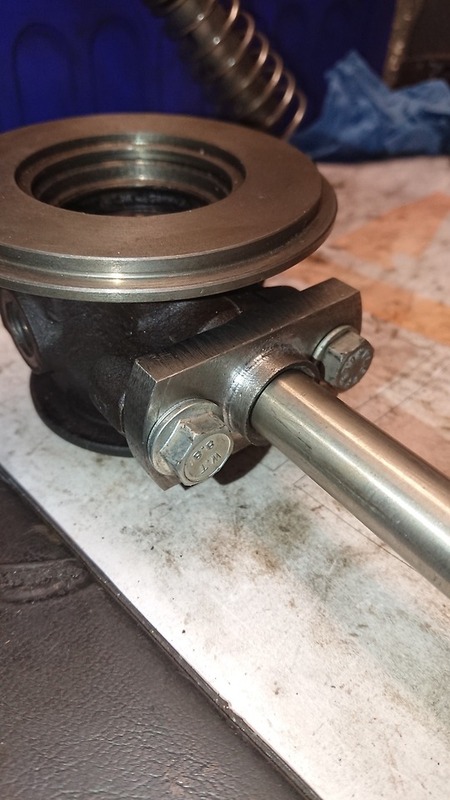 Oil feed was tapped off the oil pressure sender with a T piece and I had some lines made up at the local hydraulic shop, an oil restrictor is not something they usually sell so I just welded it shut and drilled it through with a 2mm drill. it’s not a ball bearing, but I doubt it would hurt doing so. Water lines were pricey stuff, only cause 600psi stuff was the only stuff in stock that would fit a 14mm banjo onto the rotating assembly. 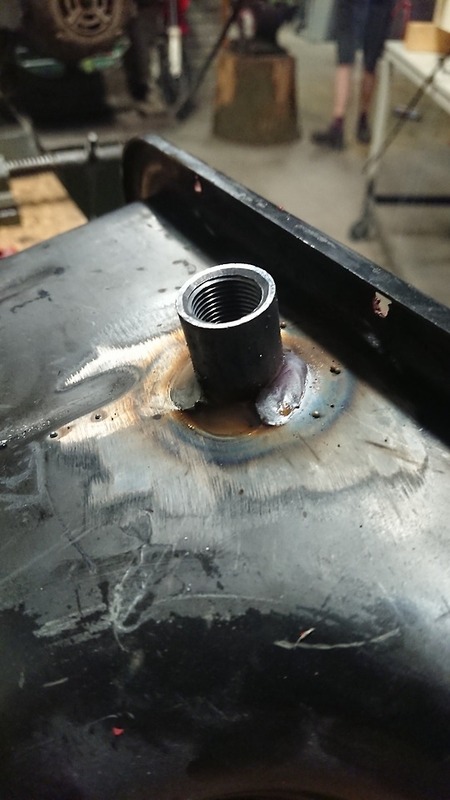 There’s a coolant plug on the exhaust side of cylinder 3, I decided to utilise that for a feed and weld a bung onto the retour pipe for the exiting side. 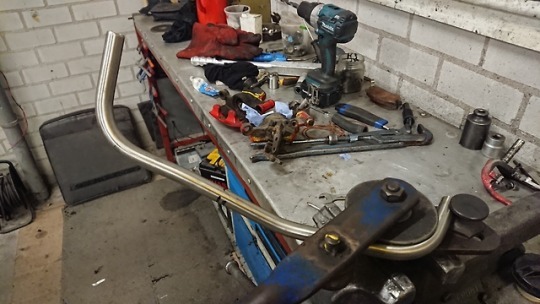 In a previous post I welded a beaded pipe to the oil pan for the return line, however I didn’t like the way how my downpipe was within an inch of a rubber hose , upon reconsideration a few months later I lended some stainless hydraulic line and a bender to make up an oil return out of is. I had a few minutes on the lathe to make a little flange with a chamber cut inside to house a copper ring to seal the rotating assembly side. The other end of the line was welded onto a banjo fitting which would connect to a bung on the pan side. Not only will this refrain any oil spilling from tearing rubber but hopefully it will support the manifold a little too instead of everything stressing off the exhaust studs. I brought the engine on a trailer to a friend where I had access to a hoist and a dry area to work in. the old cg10 was out the same evening I arrived, from there it took a few days to align the engine in and make up some motor mounts. 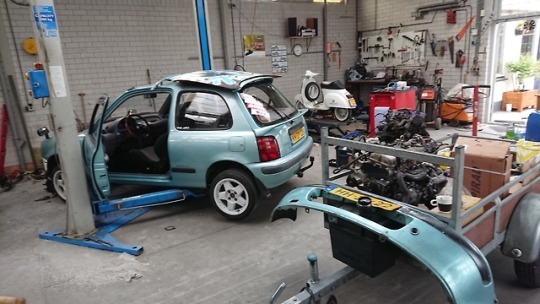 in hindsight I would’ve tried to offset the engine a little more so I wouldn’t have to cut a piece out of the chassis rail to clear the water pump pulley, but I’m confident of my welding skills and I’ll probably be doing a little bracing later on. 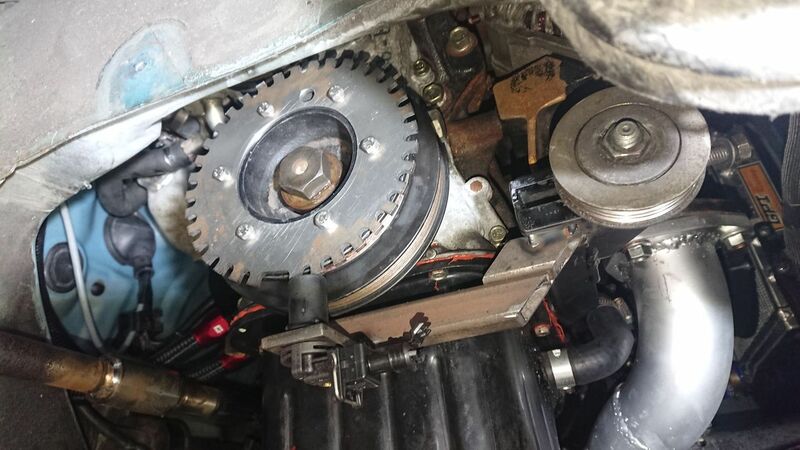 I decided to keep the stock gearbox as a CG13 box would sh*t itself within a few mild pulls, that doesn’t go without saying the stock GA clutch would hold up. 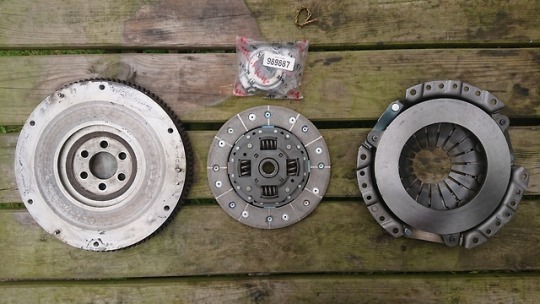 At the time I wasn’t aware of any readily available aftermarket clutch kits to fit a GA, I know of an exedy copper disc but was out of stock on the few places I seen it. Asking around I stumbled upon a company few hours north that specialise in custom clutches! 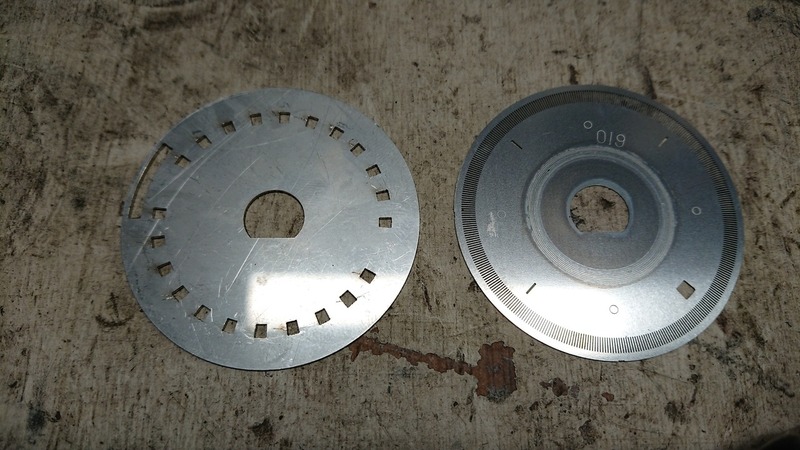 Basically they would take in the old clutch and pressure plate, make sure the springs are within spec and take the old clutch lining off, calculate what linings need sintering on (a copper composite in my case) and replaced the pressure plate for one with sufficient clamp force. All of which cost less than a brand new exedy! 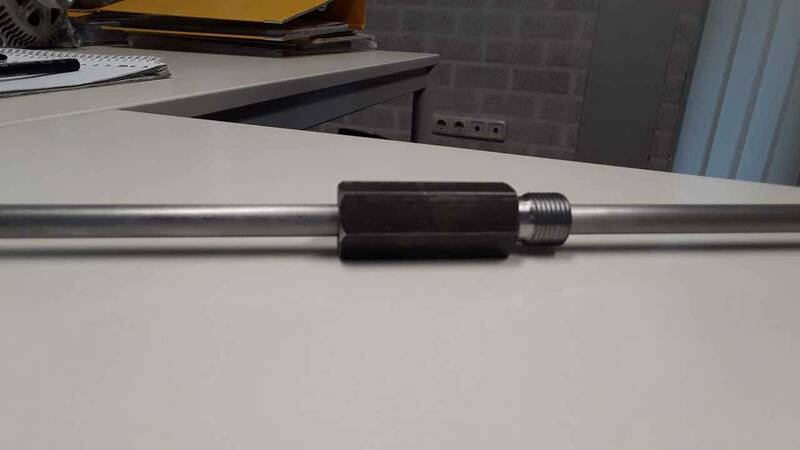 Since the original box will be used hybrid drive driveshafts were in order. CG13 CV joints are noticeably beefier than the 10’s at the wheel side so a pair was sourced. 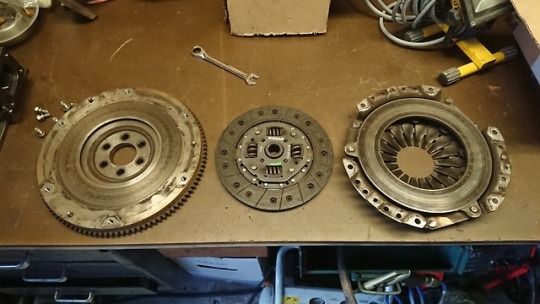 The GA gearbox was taken back to the place where the engine came from, where drive shafts were found that seemed to fit. When the engine was mounted the CV joints were taken off and all 4 drive shafts cut in half, the lengths necessary were sorta eyeballed with the CV stubs in the box and spindle and the suspension compressed (there’s about 2 inches of play within the stub for margin). A smooth finish was made on the lathe and a thick walled tube made to fit snug over the 2 halves and tacked together. 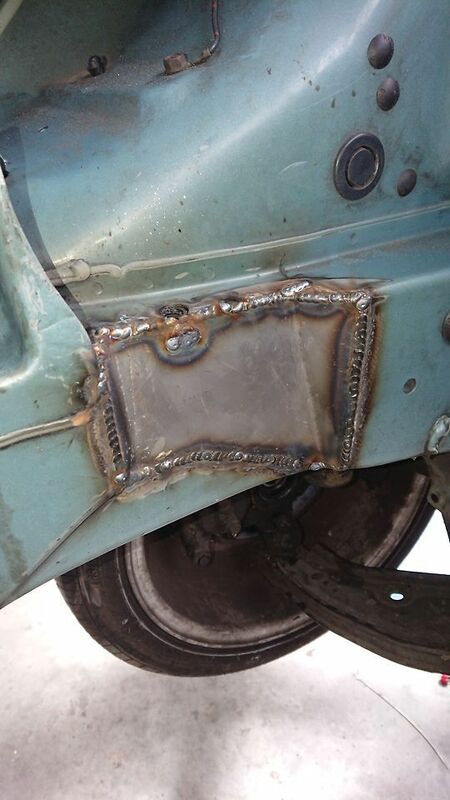 To prevent warping and make sure it was a true straight it was clamped in the lathe before welding it crosswise. I don’t have many photos of the process cause of the constant trouble shooting and drive to get it done and out as quickly so I wouldn’t hold up his own agenda , but after 9 days or so the shape was coming together. 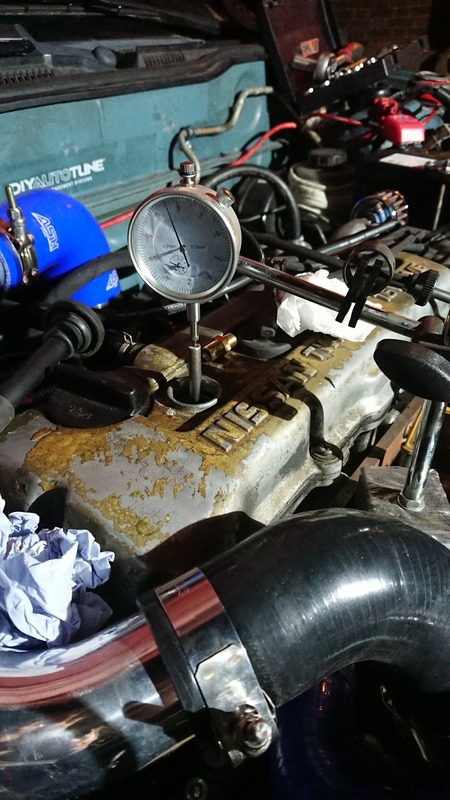 Block and drive sorted for, the stock radiator wasn’t gonna fit back in place cause of the garrett protruding (the eagle eyed would’ve noticed). 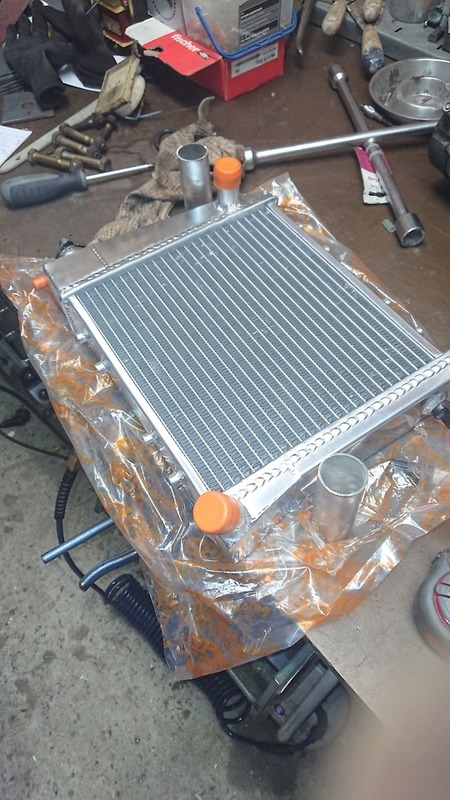 What I did was compare small aluminium radiators online and settled for this classic mini design. It fits comfortably between the headlights and doesn’t sit in the way of anything. The stock joiners were 25mm od, in fear of choking coolant flow these were cut off and welded 35 od tube in place. 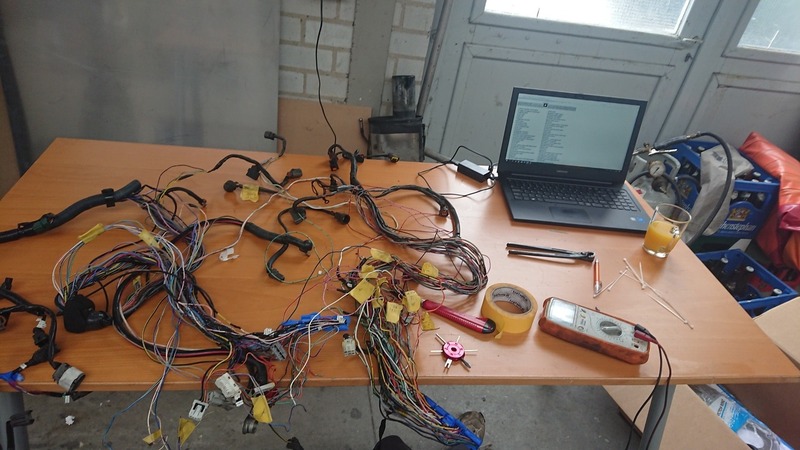 The planning was to run the whole thing of a SR20DE ecu with nistune to optimise the mismatched setup.. after a number of weeks trying to figure how to splice the two looms together, I decided the setup wasn’t only confusing but not ideal. I sold the nistune ecu and asked a familiar for advice on installing megasquirt. 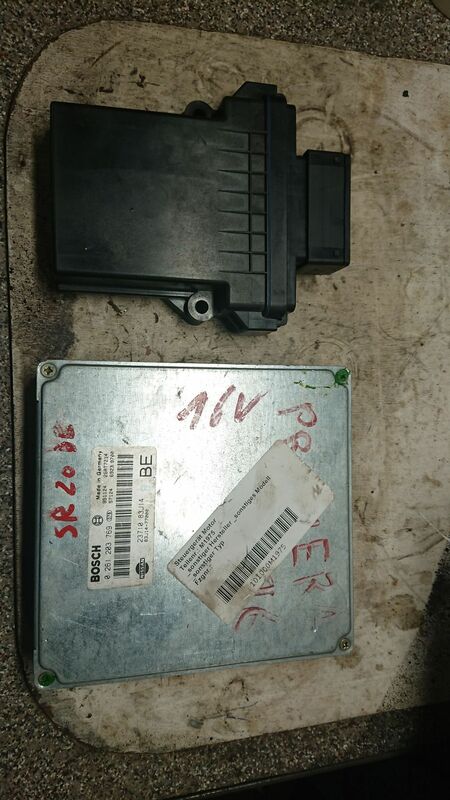 What you see here is an ms2 board in a waterproof casing next to a stock Nissan ecu, it needs about 60 less in-/outputs. Switching to MS the things altered included removing the bulky MAF sensor and replacing it with a mazda MAP sensor accompanied by an intake temp sensor to calculate fueling. 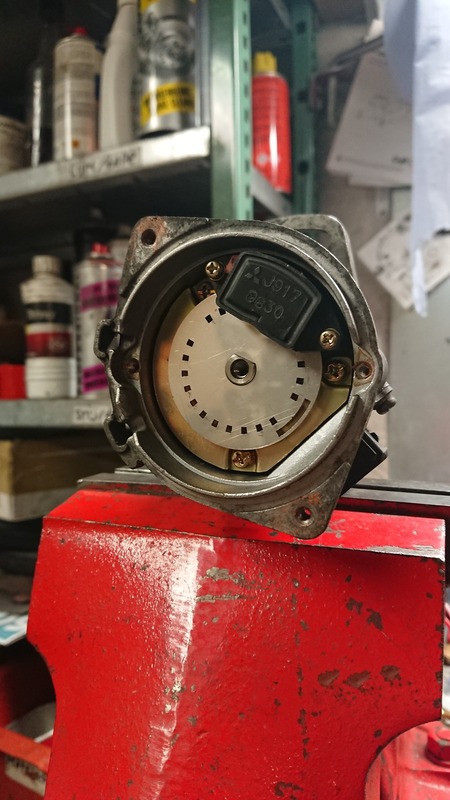 You could run MS easily off a MAF but measuring Manifold Pressure as close to the inlet ports as possible means you won’t have to account for pressure gains and/or losses, what we see on our pressure (boost) gauge is exactly what the ECU reads as well. MS uses a more basic trigger system and it’s processor isn’t fast enough to read the stock Nissan 360/4 optical trigger discs. 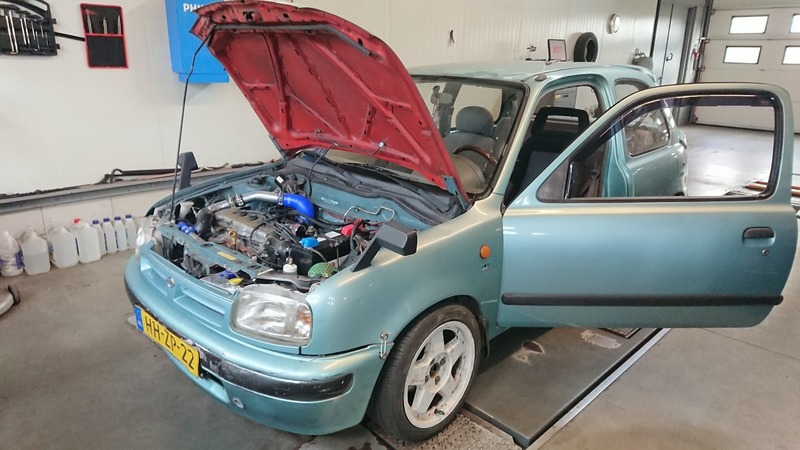 An aftermarket 12-1 wheel was fitted and managed to get it running for a while! After a bit of trail and error on trying to get to read the camshaft position correctly we gradually lost signal during our first test drive,.. (in a nutshell older MS-boards don’t like hal sensors) in turn we later on fitted a 36-1 trigger wheel for crankshaft position, which is still going strong. 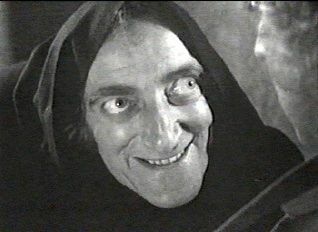 Photo of it arriving at MOT on it’s own power. Videos added in a later post. looks like nice work, but the youtube vids not working for me..